Trippie Redd is a future star, but this probably won't be the right project to get him there, quite yet. Trippie Redd is the chosen one. The next Soundcloud star in a long line of successful transitions from the platform to legitimate stars with Billboard-chart-impacting power. With that comes a lot of pressure, especially for an 18-year old rapper from Ohio who has become a must-know name within only a couple of months. The stars before him, including but not limited to, Lil Uzi Vert, Playboi Carti and Lil Yachty, have all used their first release since buzz culminated, meaning, the point in time when all eyes were definitively on them, as a launchpad to mainstream success, so reasonably, we expected similarly from Trippie Redd on A Love Letter to You 2. Alas, without the charm of Yachty on Lil Boat, the fully developed character of Uzi on Luv Is Rage or the lush debonair style of Carti on his eponymous debut, all you have is a collection of songs. In this collection, some of the songs are very good and some misfire, but when all of the Soundcloud stars prior became who they are by surpassing expectations and forcing the hand of the music industry, A Love Letter to You 2 being simplygood is equally, disappointing. The issue with A Love Letter to You 2 is that there is too much fat, the beauty of the 2-minute song trend that has taken over Soundcloud is that it allows the artists to hide their weaknesses. On Beast Mode, the Pierre Bourne produced-EP found on Trippie's Soundcloud, Trippie was able to showcase his strengths over the course of a concise 5 songs, each track hovering around 2 minutes. Here, on A Love Letter To You 2, Trippie attempts to flesh out his music further-- and the result is having leftover space filled with head scratching features from members of Trippie’s crew, and Trippie deviating from his whiny vocal gimmick that has worked so well for him up til now. Promising tracks like “Dangerous” and “Feel Good,” which both feature strong production and intoxicating Trippie hooks, are dragged down by seemingly never-ending features. On “Dangerous,” Chris King and Rocket Da Goon show up for two of the toughest minutes to get through on the album, and the Trippie verse tacked on at the end isn’t worth the wait. The airy “Feel So Good” offers a nice change of tempo for Trippie, taking his time with the passionate chorus (“Woah, what a wonderful night/Woah, watch me glisten in ice”), but once again, the features handled by the 10 years too late R&B voices of Khalil and Cydnee With a C make you wish the song was two minutes shorter. Trippie shines on A Love Letter To You 2 when he decides to handles things solo. On the mesmerizing “In Too Deep,” which may be the best Trippie Redd song to date, Trippie finds himself belting, “Said I’m in too deep, I’m in too deep,” pairing it with his quintessential screeching. The dreamy Goose the Guru (a name to remember) beat allows Trippie to float, putting the listener in somewhat of a trance. The two verses on the track are short but feel incredibly long as Trippie reaches down into his lungs ending almost every line lingering on the final word. The intro track, also produced by Goose The Guru, starts the album with a bang, with all the different vocals harmonizing with each other creating a one-man-band sound for Trippie. Trippie doesn’t let up on any line adding a new effect or “woah” as the song progresses, resulting in possibly the catchiest track on the project (“Ooh ayy I just got a new Porsche/Rocket got a Rarri that’s a new horse”). Trippie further explores the intricacies of his voice on “Back Back Back” produced by the suddenly-everywhere Digital Nas (another name to remember, then). Trippie opens the track with a prolonged “oooooooooh” eventually evolving into an impressive falsetto which is captivating over the booming Digital Nas bass. There is one feature on A Love Letter To You 2 that was necessary, and it was Uno The Activist’s hazy flow on “Today,” making it clear that pairing Trippie with an artist that actually has a style down pat, rather than Trippie Redd randomly spinning a wheel to see which weed carrier gets to have verse, makes for considerably better music. The track begins with Trippie giving Goose The Guru a soon-to-catch-on “Damn Goose” producer tag, while the Goose keys could fit on a cryptic early 90's Disney film score. Again, on “Deadman’s World” Goose laces Trippie with more spacy production and Trippie rewards Goose with another incredible hook (“Cause if you don’t then you’s a dead man/Cause if you don’t then you’s a dead man”). Forever Anti Pop attempts to kill the song with a weakly sung verse directly in the middle, but the Trippie and Goose collaboration is too solid to be ruined this time. The transition from Soundcloud to mainstream isn’t as easy as some of the prior stars made it seem, and Trippie Redd is finding this out. A couple of good, scratch that, great collaborations with Goose the Guru and Digital Nas aren’t enough to completely overshadow Trippie’s bad decision-making and indecisiveness on A Love Letter To You 2. Just when you start to think Trippie found his groove on “Today” he follows it with the insecure “I have to prove I can rap” track on “Hellboy” with it’s cliche rhyming patterns (“I’m 1400 with the screw up kids don’t screw up kid/Or that choppa wet your crew up kid I’m two up kid/We animals better zoo up kid”) and mood-killing production. 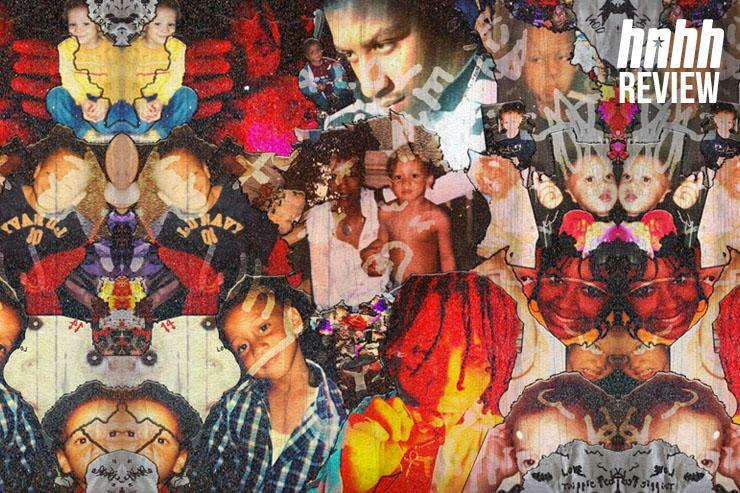 Will Trippie Redd be the first sure-thing Soundcloud star to fizzle out? Probably not: songs like “In Too Deep” and “Bust Down” are too good for mainstream success not to be on the horizon. The thing is, with so much buzz surrounding Trippie Redd the point of A Love Letter To You 2 was take him from being known as that teenager who does some cool things with his voice, and sounds kinda like Uzi, to a name everyone really needs to know. It didn’t happen yet though, and for now he’s just another guy with a shitload of potential. Judge To NBA Youngboy: Your Music Is "Making People Die"